Two weeks ago at the Yale Sustainability Leadership Forum, leaders in the environmental field gathered to share ideas, perspectives, and solutions on a range of disciplines related to sustainability. 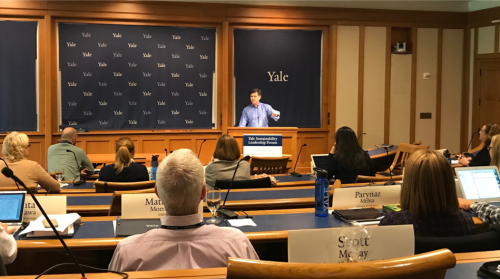 This year’s forum, hosted in partnership with the Yale Center for Environmental Law and Policy and the Yale Office of International Affairs, focused on “mega trends distinguishing sustainability from its 20th century precursors”. Yale professors, researchers, and fellows, like James Cameron, Anthony Leiserowitz, Bradford Gentry and Julie Zimmerman, presented and engaged in discussions with industry practitioners, scholars, and thought leaders who had gathered in New Haven to explore what sustainability looks like in the 21st century. 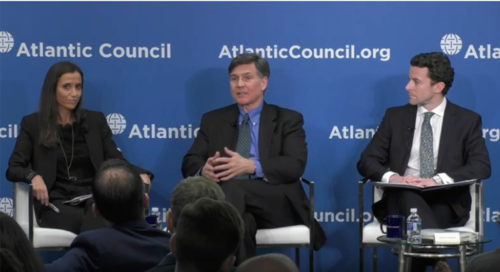 Center Director Dan Esty spoke at the Atlantic Council Global Energy Center about corporate sustainability in Latin America. The event was held in conjunction with the Center’s recently released book, “The Labyrinth of Sustainability.” The book explores the growth of corporate sustainability in Latin America, offering actionable insights to business leaders, policymakers, NGOs, academics and journalists through 12 case studies that examine the challenges and opportunities facing companies across the region as they integrate sustainability into their strategy and operations. 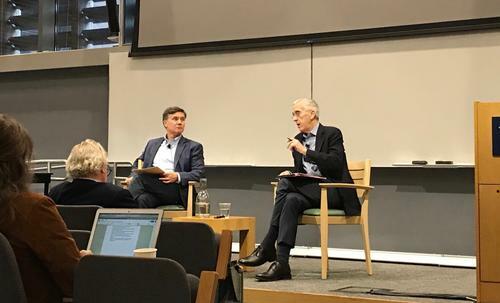 On Monday, October 22, the Yale Center for Environmental Law & Policy hosted Todd Stern for a conversation about the next steps for climate change. Stern, the former US Chief Negotiator for the Paris Climate Agreement, is currently a senior fellow at Brookings Institution and a visiting lecturer at Yale Law School. Center Director Professor Dan Esty moderated the event. By DANIEL C. ESTY, SEPTEMBER 06, 2018 Yale School of Forestry & Environmental Studies.